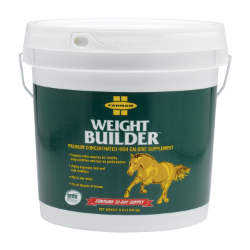 Provides extra calories in the form of fat for maintaining body condition and fuel for performance without the risk of colic associated with grain feeding. Contains flax meal which is high in omega-3 fatty acids. Contains protein, fat, fiber, calcium, and phosphorus in guaranteed analysis. Calcium:phosphorus ratio is balanced so it can be fed with other supplements. Also enhances skin and coat condition.